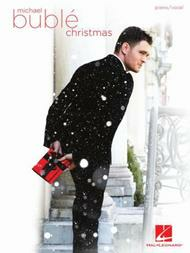 By Michael Buble. Vocal Piano. Christmas. Softcover. 112 pages. Published by Hal Leonard (HL.307364). The 2011 holiday release by this Grammy® Award-winning Canadian crooner includes 15 swinging tunes for the Christmas season: Ave Maria • Blue Christmas • Christmas (Baby Please Come Home) • Feliz Navidad • Have Yourself a Merry Little Christmas • A Holly Jolly Christmas • It's Beginning to Look like Christmas • Santa Baby • White Christmas • and more, plus a special section of fantastic photos! verse that precedes the familiar refrain. I also enjoy receiving my order in less time than is promised.